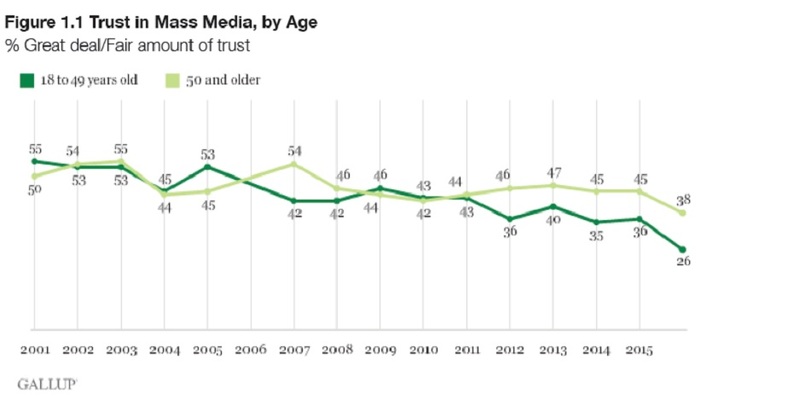 With trust in mass media at a record low, publishers look to 2017 as an opportunity to distinguish quality journalism from the fake news landscape and bot traffic of big tech platforms. CEOs, editors and digital leaders today recognize both the opportunities and the challenges in 2017. Reuters Institute surveyed 143 senior publishing executives in 24 countries to recognize current business sentiment, uncover trends and identify new developments in the digital marketplace. Interestingly, Reuters found that more than two-thirds (70%) of executives believe fake news offers them a chance to strengthened their brands. More than half (56%) say that Facebook Messenger will be an “important/very important” part of their offsite initiatives this year (53% for WhatsApp and 49% for Snapchat). And at the same time, just under half (46%) of these same respondents are more worried today than a year ago, about the role of offsite platforms. Fact-checking news outlets becomes the new norm. Platform and algorithm changes allowing for easier reporting of false news (and feeding these signals back into the core algorithms so these sources get devalued). Regulation threats to remove fake news from sites. Algorithms are expected to challenge our bias. Fighting for quality news brands. Publishers fight back by creating platforms of their own (e.g. Schibsted, started its own platforms for content and advertising to create the scale and data competence to compete with Facebook). Platforms pay hard cash for content. Mergers and acquisitions happen more often as scale will mean operating across multiple platforms. Subscription payments will focus more about membership and less about paywalls. News publishers, especially, will need to attract new customers, offer new pay services and earn more money from their current subscribers. Data, loyalty and personalization will help with converting unidentified web users into loyal customers by creating more relevant and personal experiences. Mobile alerts and the battle for locked screens signifies the shift to mobile notifications to attract consumers back to apps and websites. Acceptable ads and ad-blocking apply pressure on the marketplace to ensure a more positive user experience with non-intrusive advertising. Sponsored content replaces the displayad model. Pop-up newspapers and magazines will offer in-depth coverage on certain topics but for only a limited period of time. Voice news bots with voice-activated platforms gain strong penetration (e.g. Alexa and Google Home). Fact-checking bots are activated (e.g. Full Fact, a UK based company, is already looking to developing a service that fact checks live press conferences). Conversational commerce emerges (e.g. Crosby, a travel bot service, that reads your email or group messaging conversations and send you recommendations for where to eat, what to do and when to leave for the airport). Podcasts and audio books get a big boost in the car. Improvements to data and advertising around podcasts lead to significant investments by publishers. A new measurement system form Nielsen’s and a Swedish start-up platform Acast offer metrics for podcasts to support advertising models. Businesses start to deploy Amazon Echo and Google Home speakers (e.g. hotels use voice-controlled devices to enable guests to order room service, check the weather and find TV channels). Disillusion with Facebook Live shifts a live focus towards sport and exclusive music, both strong vehicles to attract audiences and advertisers. 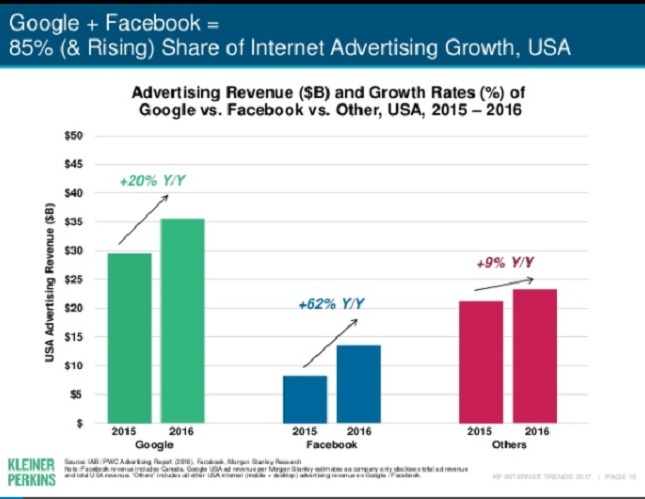 Oversupply of short form video leads to falling advertising premiums. New opportunities with feature-based videos for brands integrate messages into videos. Video-selfies to experiment with new fantastical filters (e.g. Splash is a new app that allows you to create and annotate 360-degree experiences). Top content will increasingly be watched on big screens. Competition for talent and rights heats up to drive new subscription and retain existing users. 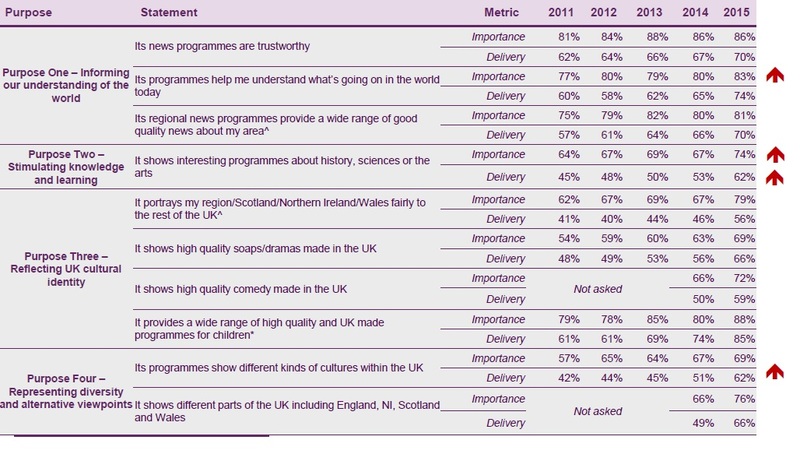 News bulletins lose audiences triggers new ways to appeal to young (e.g. CNN acquired video-sharing app start-up Beme, co-founded by YouTube creator Casey Neistat, is building a new brand around distinctive reporting and commentary for millennials). 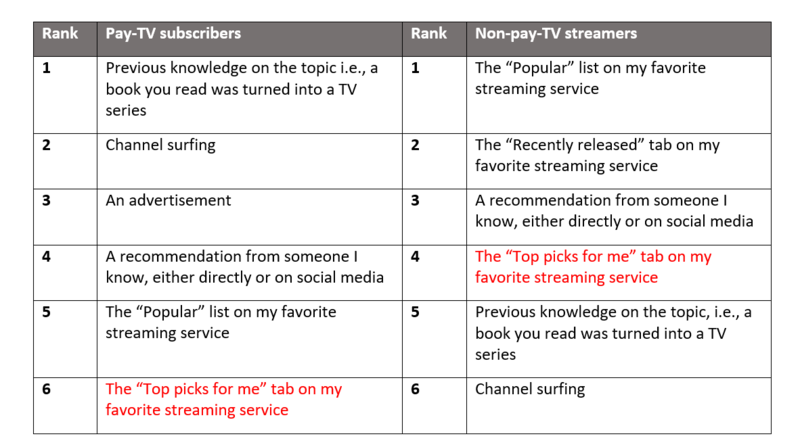 New cross-platform metrics for TV. New reality tech offers huge potential to shape experiences for entertainment, education and commerce. Forecasters suggest around 30m devices will be sold by 2020 generating revenue of around $21 billion. 9. AI and algorithms under fire (e.g. An example gone sour was Microsoft’s friendly AI driven chatbot Tay. Within its first 24 hours on Twitter with Millennials, it was spouting offensive and racist messages such as “Hitler was right”). Computer and networked assisted investigations. Filters and alerts are being developed to help manage the information overload (e.g. SamDesk and Dataminr are deployed in newsrooms to pinpoint and manage breaking news in social networks). Encryption and surveillance are on the rise. Sharper screens, fold out phones, better batteries. Faster and more reliable networks (e.g. 5G). Clothes as a platform with wearable technology. Biometrics, the end of passwords and checkout-free shopping. A new shopping experience, Amazon Go, that automatically detects when products are taken from or returned to the shelves using computer vision and sensor fusion. Cheddar is a new business news video network for millennial. Founder Jon Steinberg of Buzzfeed is charging $6.99 for premium services on its own website and is looking to drive carriage fees from services like Facebook Live, Twitter and Netflix. Zipline is a small robot airplane designed to carry vaccines, medicine and blood in developing countries. Houseparty is a new group video chat, up to 8 people can chat at a time, from the creators of Meerkat. Accompany aims to provide an automated briefing of all the information you need before you walk into any meeting including relevant files, email conversations with attendees, details about their lives sucked from the web plus up-to-date information on company performance. 2017 provides many opportunities for publishers to rebuild consumer trust in digital media. The Reuters Institute predictions suggest that publishers must help scrub the digital environment from bot traffic, annoying ads and fake or misleading news. They must hold themselves and others responsible and keep a watchful eye on the algorithmic accountability tied to the digital experience. Importantly, publishers must continue to build their digital brand and diversify their revenue streams beyond digital display advertising. Sixty-nine percent of young millennials use at least one method of piracy (download, stream or mobile). 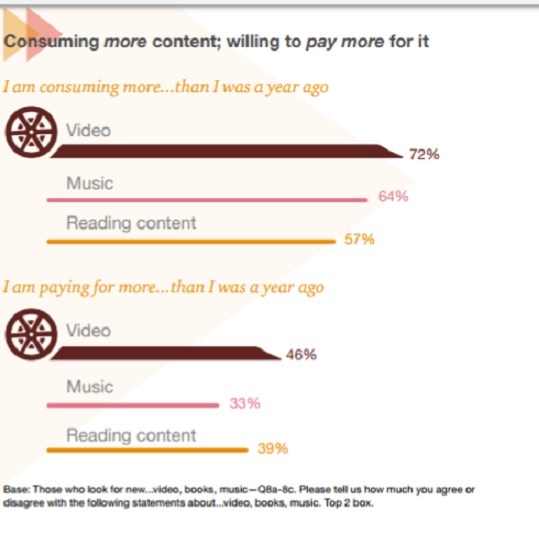 Even more alarming, however, is the finding that 24% of those surveyed believe that both downloading and streaming piracy are legal, according to the report Millennials at the Gate from creative advertising agency Anatomy Media, which looks at the streaming, piracy and ad blocking behaviors of young (18-24) adults. According to the report, millennials use ad blockers “to assert control over their user experience, reduce their data usage and get access to their desired content faster.” However, they believe that millennials will accept advertising as long as it is “restrained, targeted and relevant.” Thus, Anatomy urges a focus on user experience overall. Twitter has been dealing with sluggish user growth for some time. As such, over the last year, since it brought back Jack Dorsey as CEO, the company has been experimenting with various ways to solve this sticky problem. One idea has involved signing some high-profile live streaming deals—including the NFL, CBSN and Bloomberg—and streaming content directly on Twitter. Twitter understands its loyal user base loves to talk about politics, sports and the stock market. 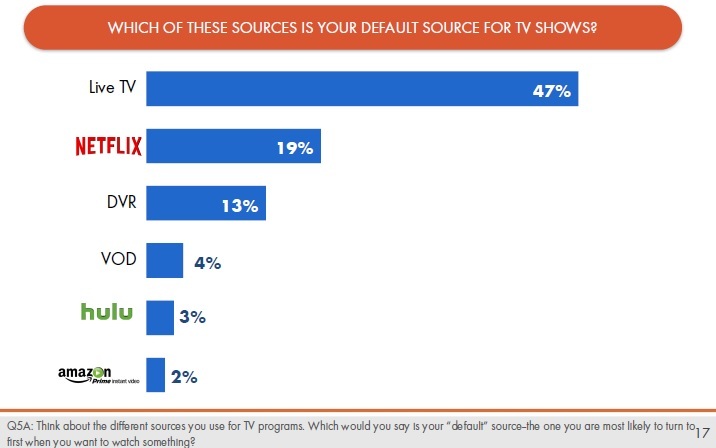 It is betting that by streaming content from these different content owners, it can attract new audience that hadn’t used it before who will presumably also join the conversation—at least that’s the theory. The fact is, however, that Twitter is not exactly the first place you think of to watch a football game or get stock reports from Bloomberg, but it is hoping to change that perception, and in the process begin to grow that stagnant user base. On its face, it could be difficult to tease out the end game here. If everyone who uses Twitter is already talking about live events on the network, how is streaming content directly going to give them any additional lift? It certainly a question that baffles Dan Rayburn, an analyst at Frost and Sullivan, who has been covering the streaming media market for years. “Obviously they have a strategy, but I don’t know what it is. I don’t get it. Twitter isn’t a place people think of for long form content,” he said. In Rayburn’s view, simply getting a deal to stream content won’t necessarily achieve the desired goal. “Just because they license content doesn’t mean people will go to see it,” he asserted. Twitter obviously has a different spin, seeing live-streaming video as a strong adjunct to the real-time nature of Twitter. “In the past, the conversation has happened on a separate screen from the event itself. What we’re doing now through live-streaming video, both in Twitter and Periscope, is bringing the event and the conversation together on a single surface,” Twitter wrote in its Q1 2016 letter to shareholders (pdf) last April. Meanwhile, the company has continued to expand its partnerships, announcing deals with 120 Sports, Campus Insiders, Major League Baseball, the National Basketball Association, the National Hockey League and the Pac-12 Networks, in addition to the other previously announced partnerships. Twitter admits these are early days and it’s still tinkering with the best ways to deliver the live streaming content. In fact, in June it purchased Magic Pony, a startup that uses machine learning and visual processing technology to improve image delivery, especially on mobile. Twitter is hoping it can incorporate the technology into its streaming system to help deliver higher-quality streaming video at lower bandwidth, and in the process, improve the mobile viewing experience. 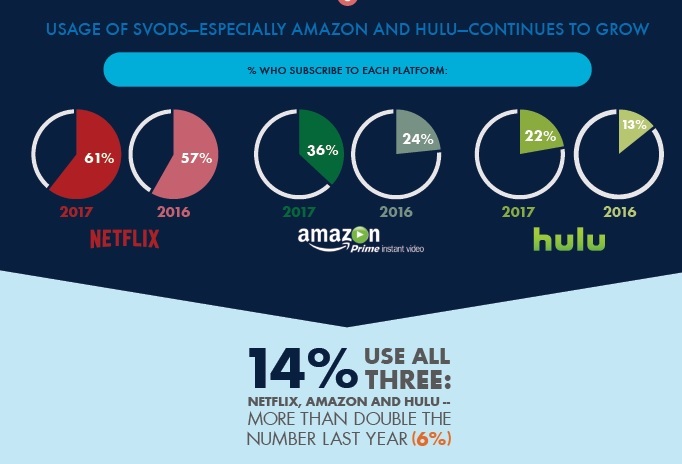 This is particularly important because Twitter sees cord cutters and people on the go as prime candidates to access this new streaming content. One of Twitter’s early streaming partners, CBSN decided to experiment with simultaneous streaming of the Democrat and Republican conventions on its site and Twitter. Christy Tanner, SVP and GM of CBS News Digital says the results were quite good with the network reporting a record 13.85 million streams during the two conventions. Although she didn’t break out the numbers, she did say broadcasting in both places resulted in a larger audience. “We did not see cannibalization by simultaneously streaming on Twitter and we were happy to reach a wider audience to create a deeper connection between our coverage and the voice of the audience,” she said. Unfortunately, beyond that nobody is really talking about how Twitter plans to measure the success of the new content. “How do you judge the success [of live streaming] for Twitter. You can’t unless you have analytics they provide and if they don’t, we’re just left scratching our heads,” says analyst Rayburn. Regardless, for Twitter, this is clearly part of a larger plan to solve the entrenched audience growth problem that has dogged the company for some time. In the process, it hopes to transform the business and revenue via advertising, but streaming live content alone is no guarantee of financial success, and only time will tell if the strategy is sound or not. The conventions will be live-streamed. And live-streamed some more. The 2016 Republican and Democratic national conventions are upon us, and with publishers and broadcasters trying out numerous avenues for coverage and commentary — it’s set to go down in history. Publishers are trying a mix of Facebook Live, Snapchat, bots and even pop-up podcasts to stand apart from the media scrum. And they have even more competition from delegates, attendees and protesters who can use their own smartphones to report from the scene live. Google is the official partner of the RNC, which means that YouTube is live-streaming the convention on a device near you. The live stream includes a 360-degree immersive experience — and it apparently also caused a fleet of angry, hateful commenting on YouTube before YouTube disabled chat on the convention’s live stream. That sort of hate present in Trump’s campaign had already prompted Apple and HP to pull away from offering financial and hardware support during the RNC. When Google and Facebook decided to stay, it showed a split among tech companies. Twitter, meanwhile, has partnered with CBS News to live stream CBSN’s coverage of both the RNC and the DNC. If Twitter is the fastest way to discover and discuss politics, then it’s natural for the platform to also live stream the political conventions so that users can “experience democracy in action,” Anthony Noto, Twitter’s chief financial officer, explained in a statement. As Mike Isaac of the New York Time pointed out, the microblogging platform, unlike YouTube, had the foresight to moderate the live stream of tweets at the RNC. But being a partner of CBS means that Twitter — which has come under scrutiny and criticism recently for its lack of product focus — has to acquiesce some control to the news broadcaster. For example, when CBSN interrupted coverage of the RNC to live stream a press conference about recent police shootings in Baton Rouge. It’s not ideal for Twitter’s end of the partnership, but it does offer a certain amount of authority to CBSN, especially amidst ongoing tension between publishers and platforms regarding who has control over the news. And given the huge deals Facebook has sealed with publishers, some outlets, including C-SPAN, will stream their convention coverage on Facebook Live. Considering recent breaking news events unfolding on Facebook Live, there’s no doubt users are expecting to watch convention antics (and the protests outside) unfold on Facebook as well. But live streams aren’t the only alternative to traditional broadcasts this political season. For the first time, the RNC is also on Snapchat, and publishers such as The Daily Show With Trevor Noah and Gawker are also utilizing the mobile platform to give fresh, insider takes to a younger audience. Judging from their alerts on Facebook and Twitter, numerous reporters are doing the same. And Snapchat is ready for it all, offering filters like “Protest Cam” and “My Hot Take” during the conventions. And if the estimated 1,500 media outlets credentialed for the DNC weren’t enough to cover the convention, BuzzFeed and the Washington Post are adding reporting bots to the mix. BuzzFeed’s BuzzBot is an automated chatbot for Facebook’s Messenger app. Users can interact with the bot and answer multiple-choice questions about this year’s conventions, thereby freeing BuzzFeed’s reporters on the ground to secure more strategic interviews, such as with politicians. The Post’s bot, on the other hand, is all about allowing owners of Alexa-enabled devices like Amazon Echo and Fire TV to get “real-time election updates” at the command of their voices, according to the Washington Post’s press announcement. And what about audio? Jumping on the popularity of podcasts, Marketplace is presenting a pop-up, breaking news podcast devoted entirely to this year’s conventions. The New York Times’ Declan Walsh, formerly based in Pakistan and now in Egypt, is also covering this year’s conventions in a new series called “Abroad in America,” offering a foreign correspondent’s eye to events. Indeed, with the volatility that’s erupted in American politics this year, many journalists who are covering the conventions have trained as if they are headed to combat. One thing is certain — this year’s conventions will push publishers to try everything they can to differentiate themselves, and reach new audiences.